The official weigh-ins for “UFC 166: Velasquez vs. Dos Santos III” take place today inside Toyota Center in Houston, Texas. Stream Friday’s weight contest live right here on 5thRound.com starting at 5PM ET/2PM PT. 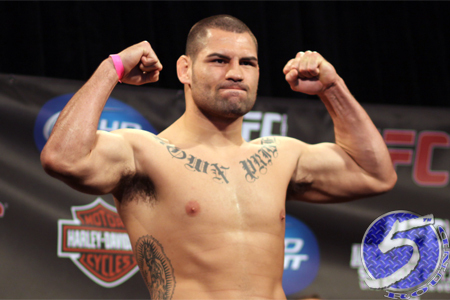 Heavyweight champion Cain Velasquez (pictured) defends his throne against Junior dos Santos in Saturday night’s main event. Bitter rivals Daniel Cormier and Roy Nelson co-headline the show.